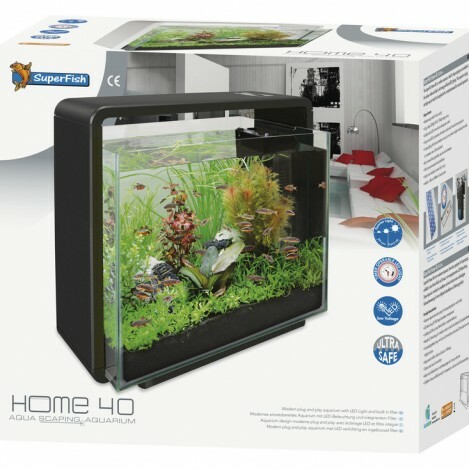 tank/ SUPERFISH/Super Fish Home 40. 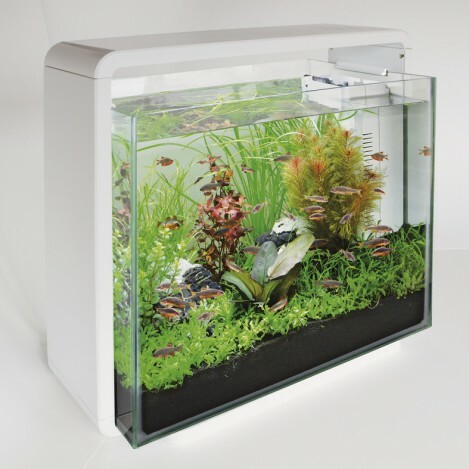 The Super fish Home 40 tank is a modern aquarium, ideal for aqua scaping and is available in either black or white. It comes with a long lasting LED ( 12 volt, 7 watt ) energy saving light. Double colour white and blue LED on separate finger touch controls. 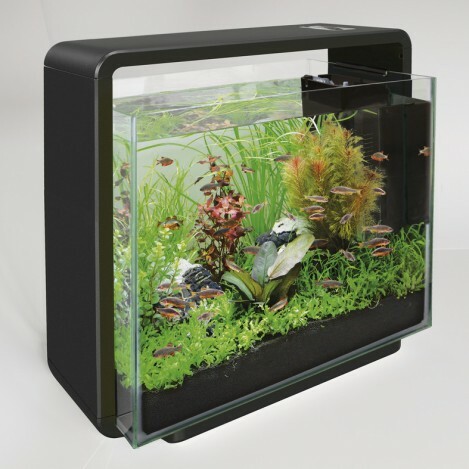 Comes with internal Aqua flow filter. With a hide at the side of the tank for the filter and if you want heater ( heater not included ) to go in, to keep out of sight. 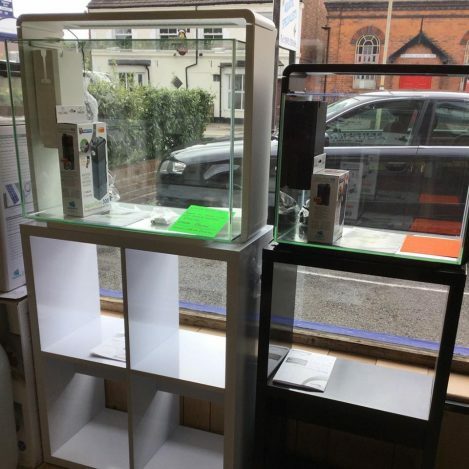 Comes with a acrylic cover. Stands are also available for the home 40 tanks and they fit the home 25 and home 25xl. 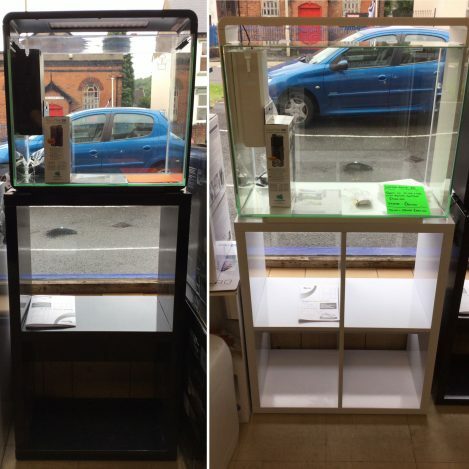 Both tanks and stands are available in black or white. L 47 cm X H 42.5 cm X W 25 cm. We would recommend either nano 50 watt but for better results the 100 watt size heater is better.